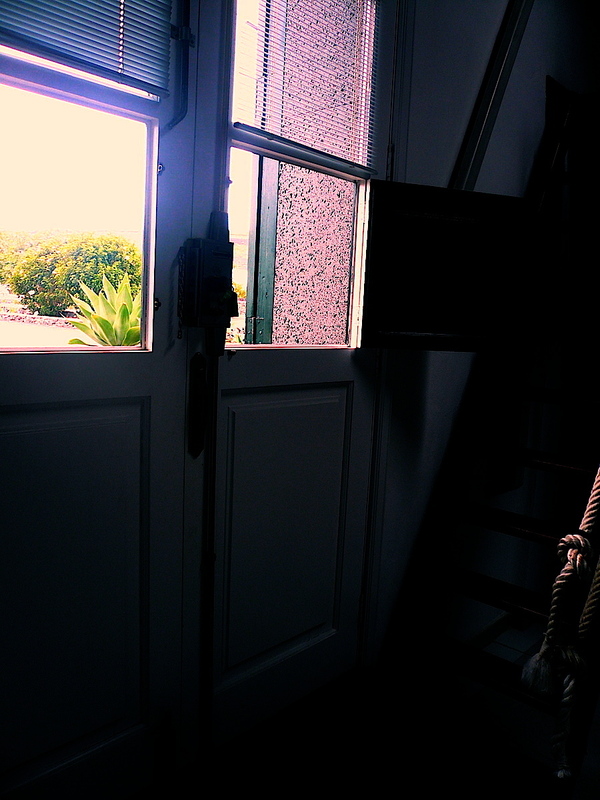 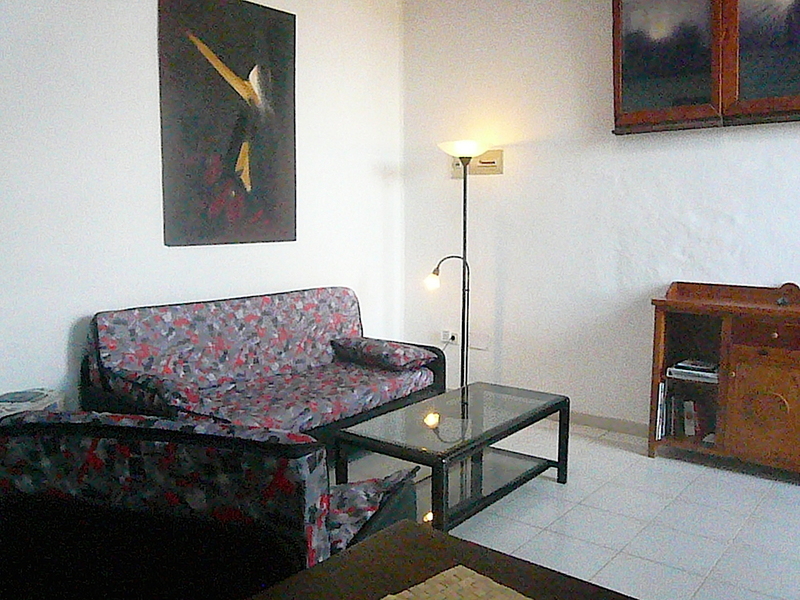 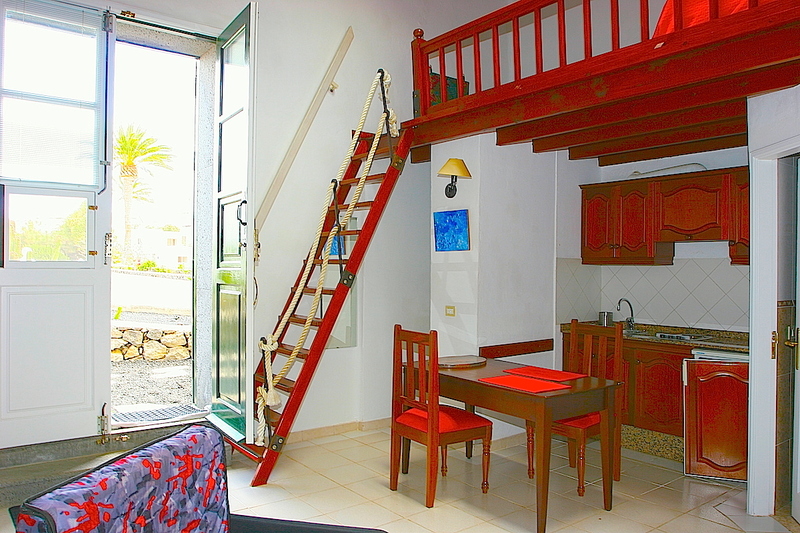 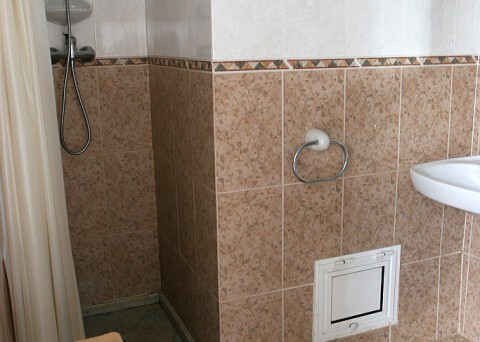 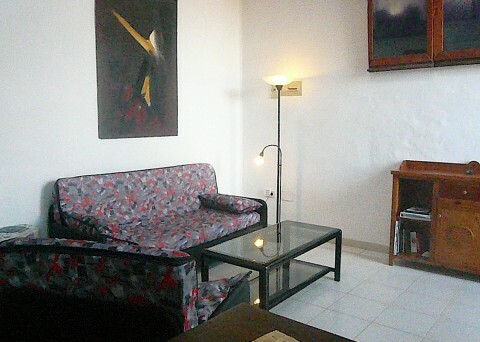 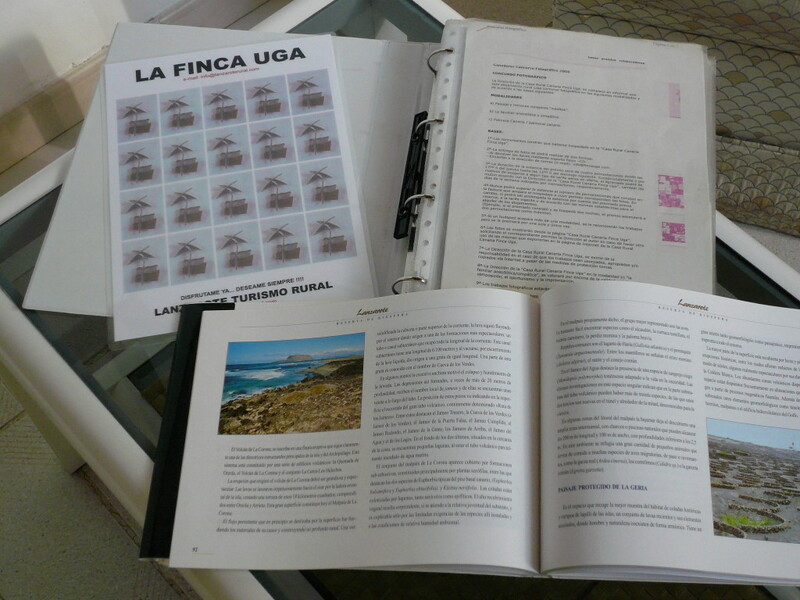 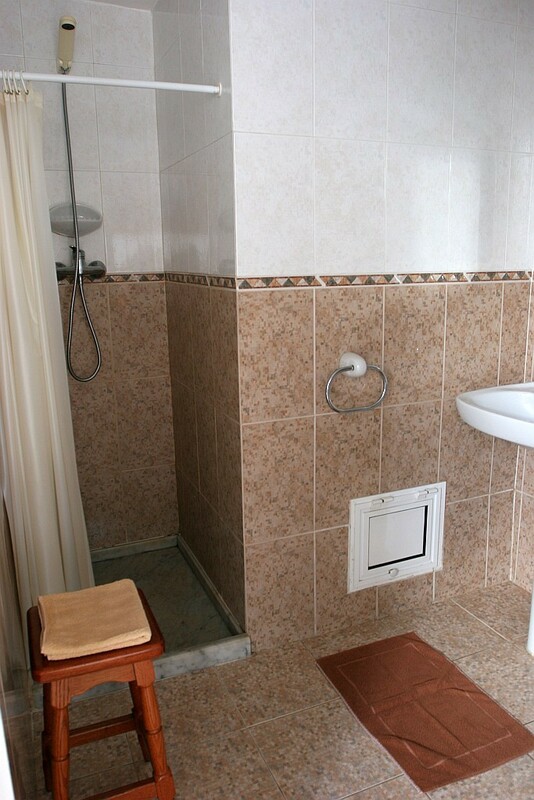 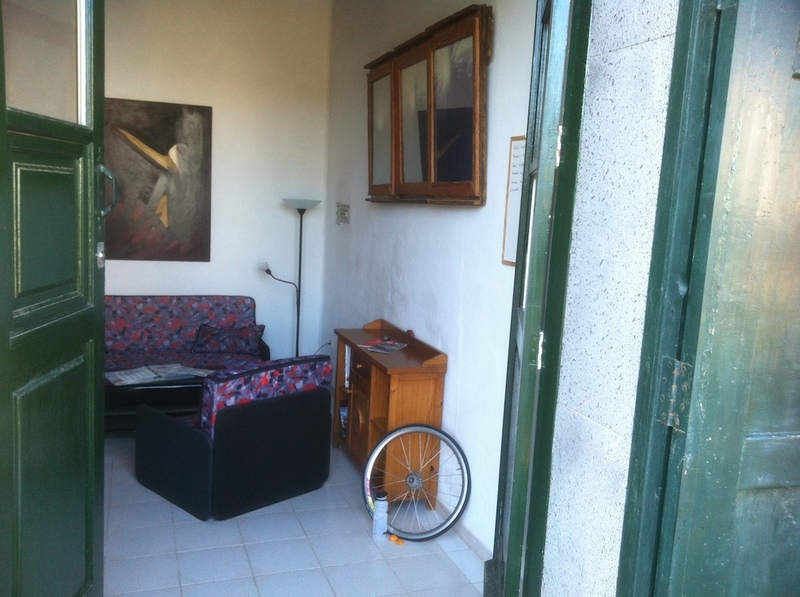 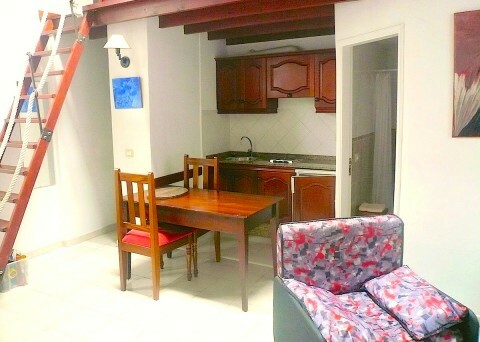 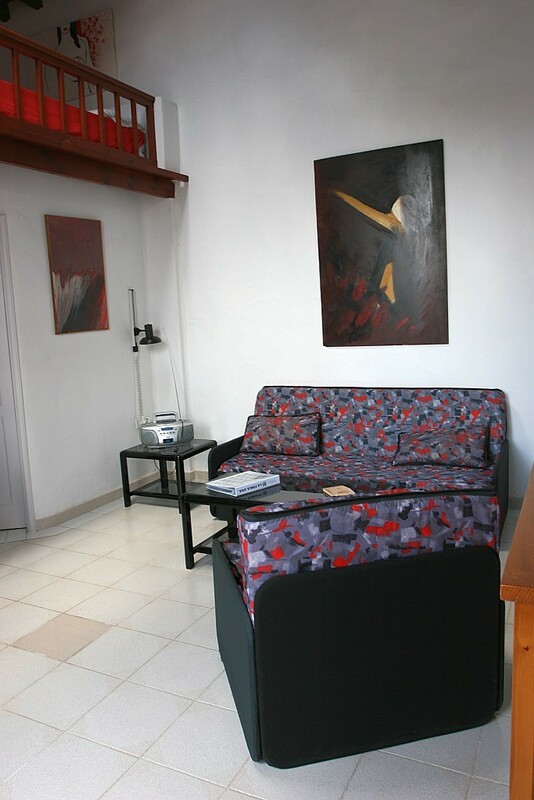 The resting area, provided with a loft touch, like the rest of them, is located in the “balconada canaria”. 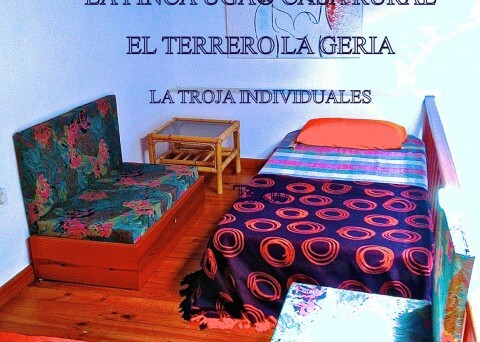 To honour the truth, we always wanted such a room when we were kids. 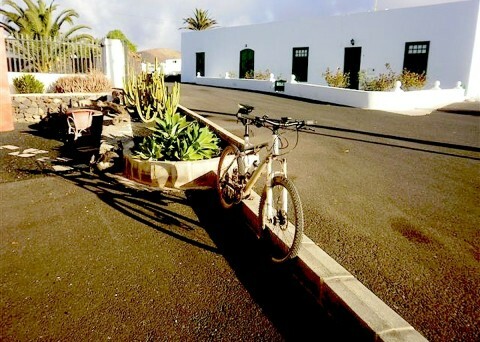 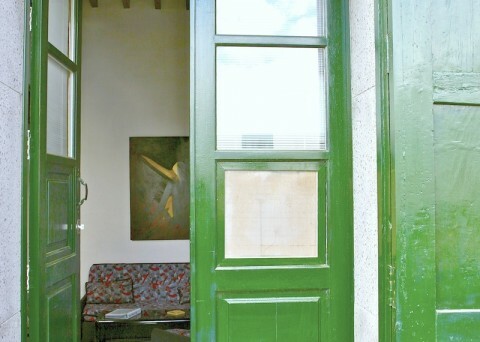 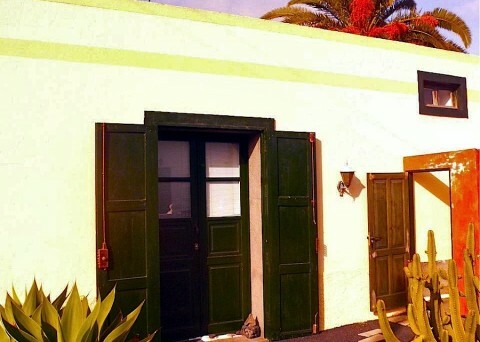 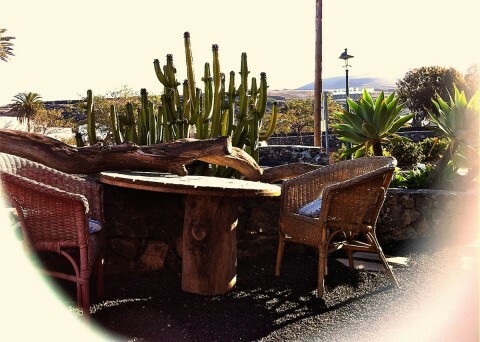 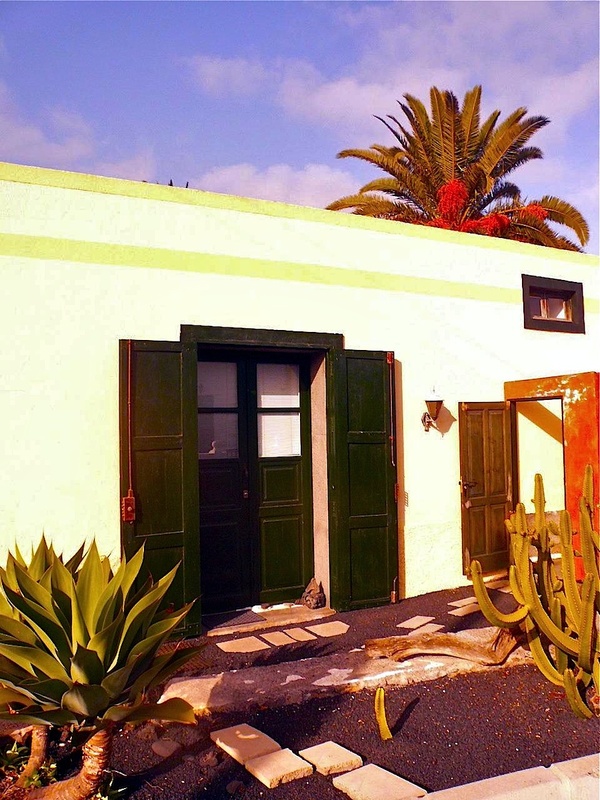 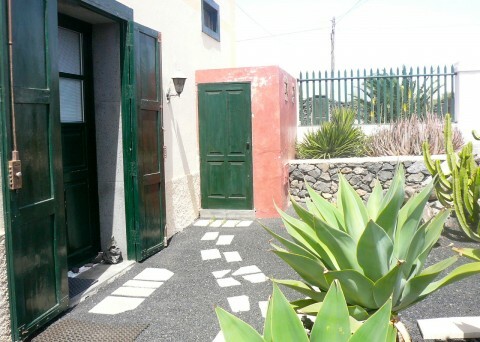 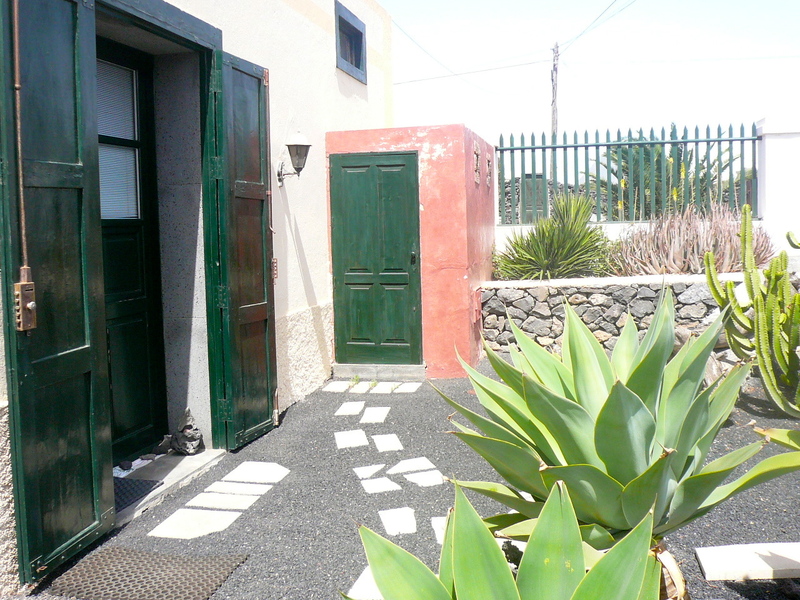 The entrance, through “el Callejon el Terrero”, is formed by a front garden, stylishly shaped to Lanzarote’s unique environment. 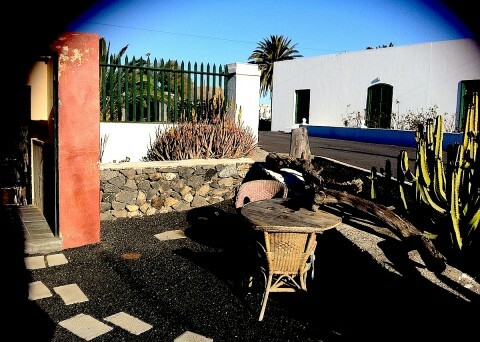 This is a quiet place, with the exception of the celebration of the “Run Wine” event, when a crowd of participants crosses through just before the finish line. 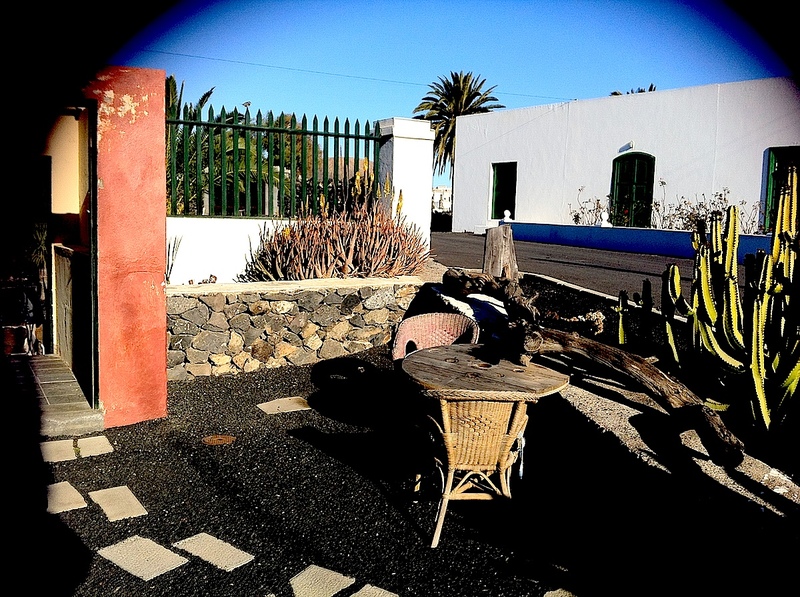 Both professionals and entire families participate in such an event, since the purpose is a friendly circuit through the sceneries of La Geria, every participant sets its own pace. 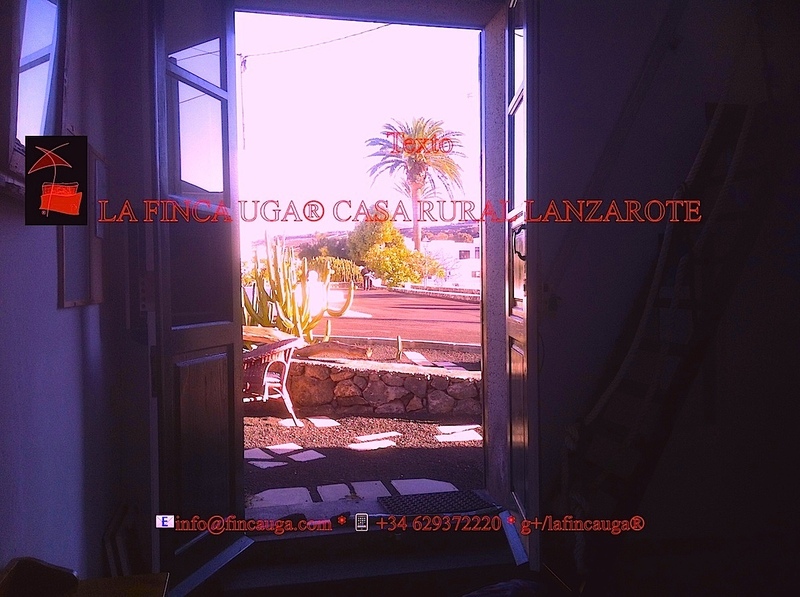 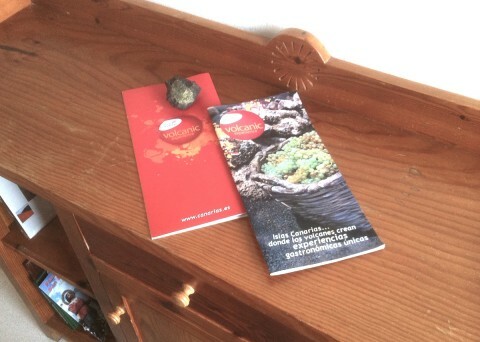 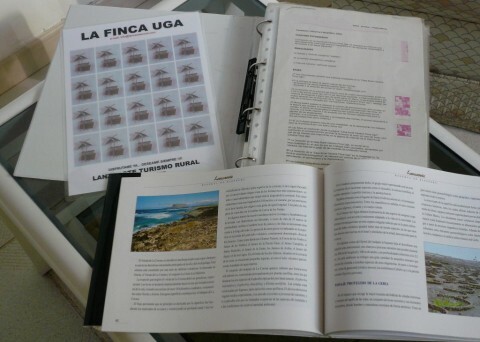 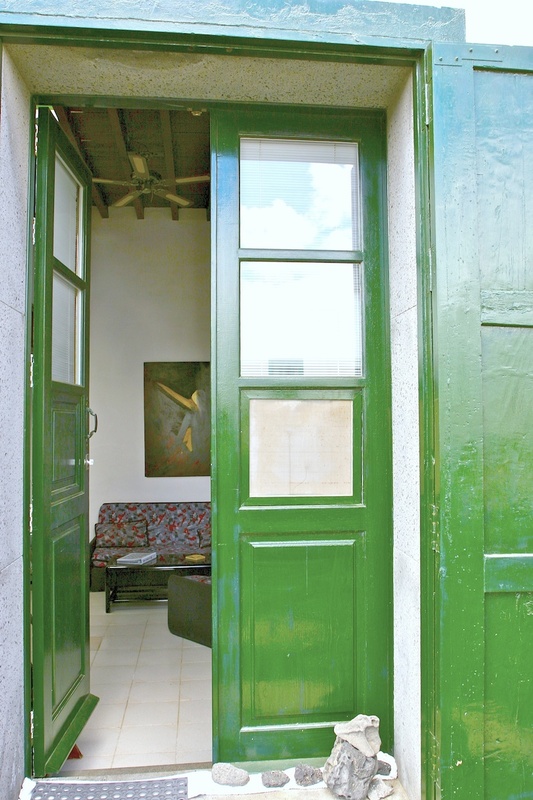 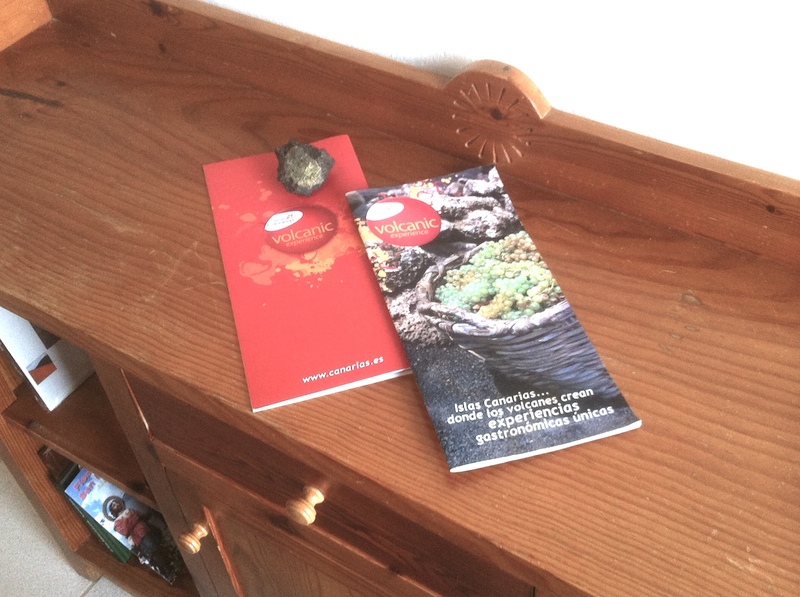 The finish line hosts plenty of cabins, each of them consisting of a gastronomic speciality, enology, or others, such as information points of every corner that “Isla Conejera” (Lanzarote’s nickname) has to offer, for example “El Miac” – International Contemporary Art Museum-. 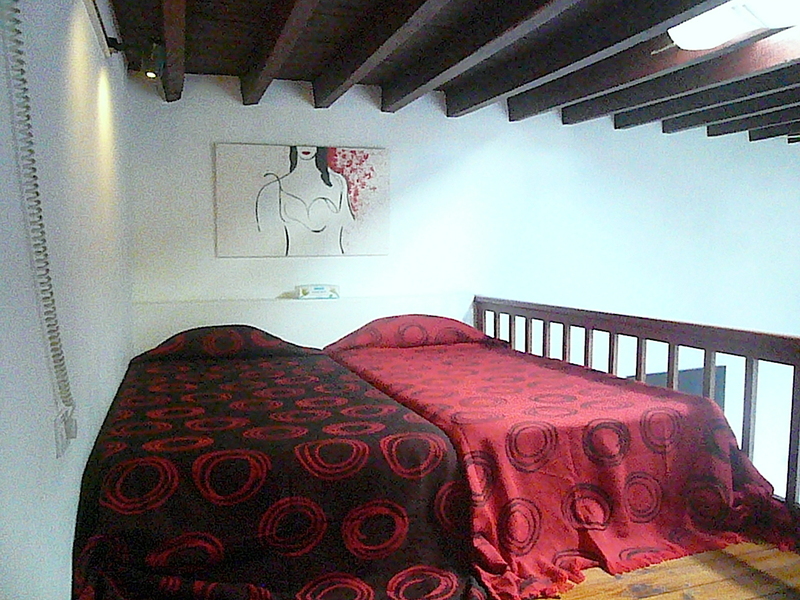 There is almost no vehicle or pedestrian transit, especially the times the loft is used. 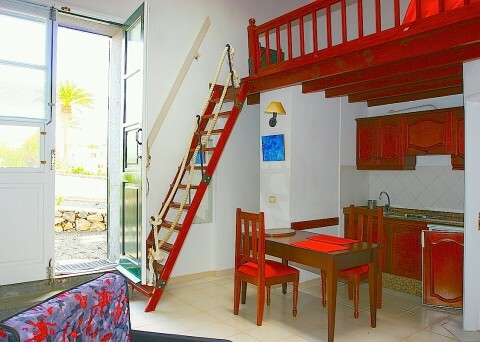 I will remind you now, something important: There is no such thing as “Luxury”. 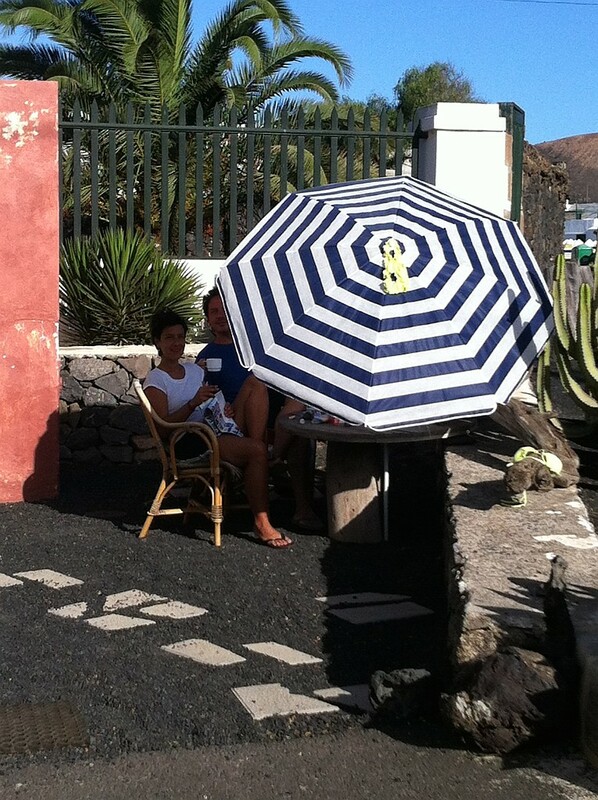 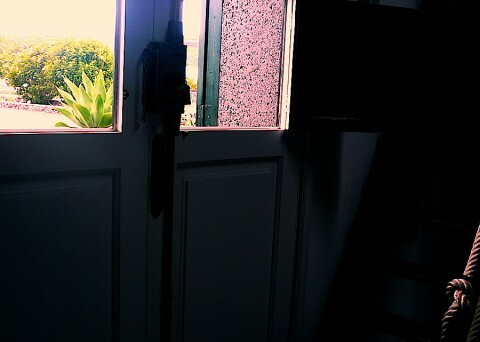 Life is Lanzarote. 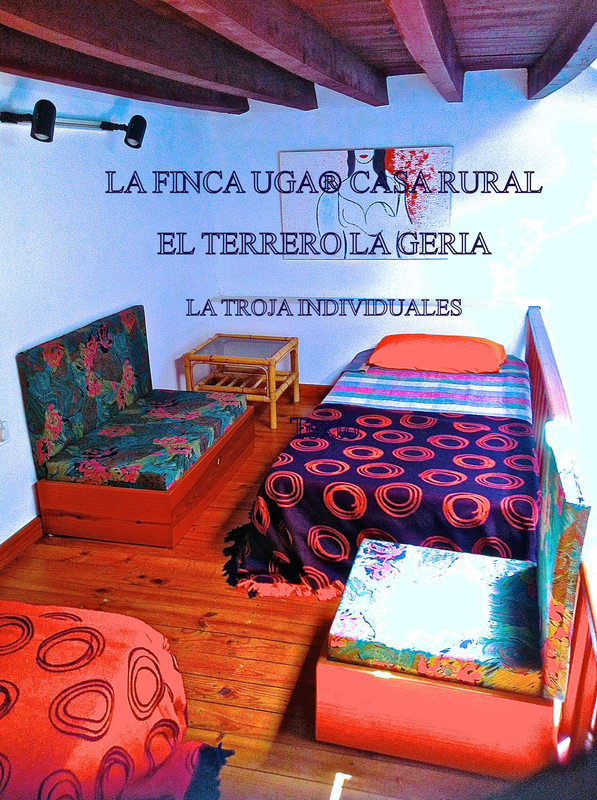 This is, with the best willing: Rural Tourism with Spirit of Service. 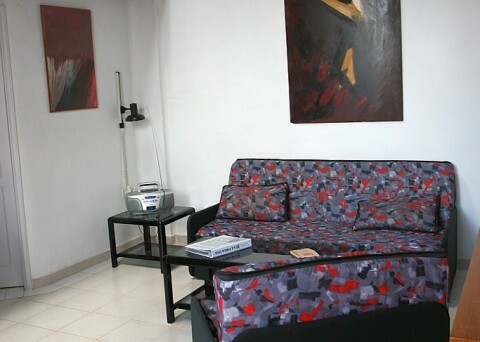 The only luxury is that “There is no TV nor will be provided”, but should you need something, please ask. 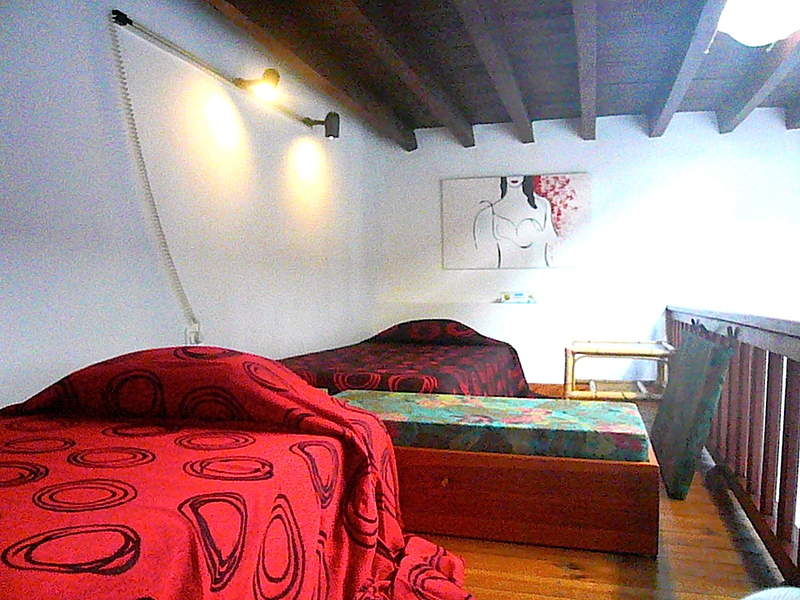 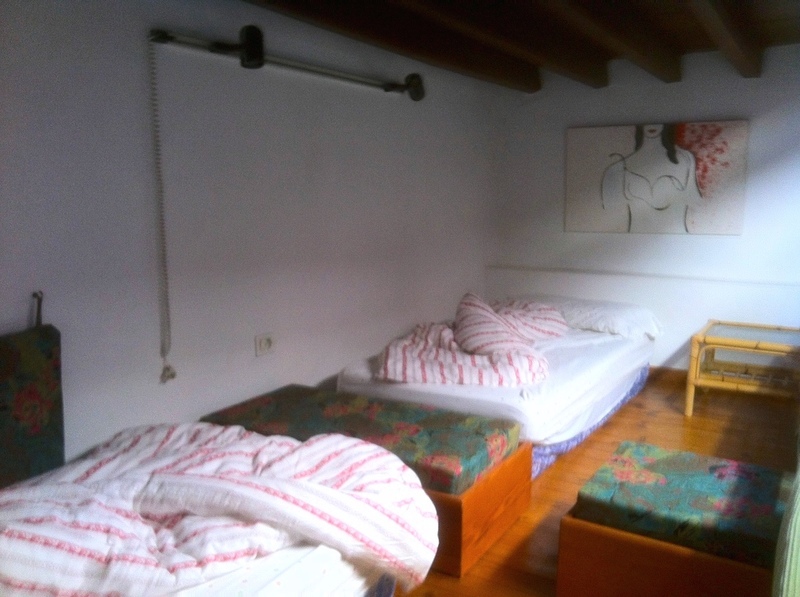 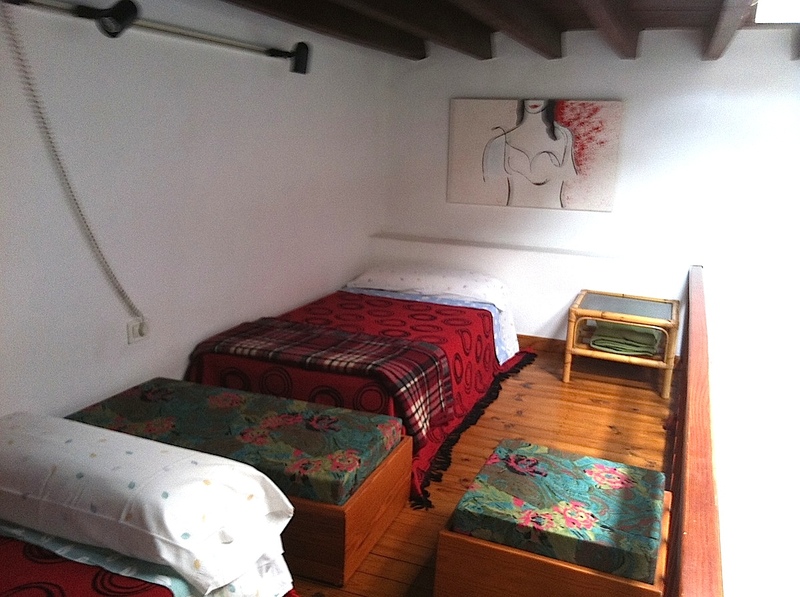 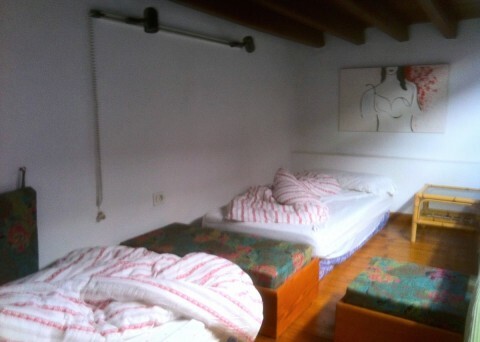 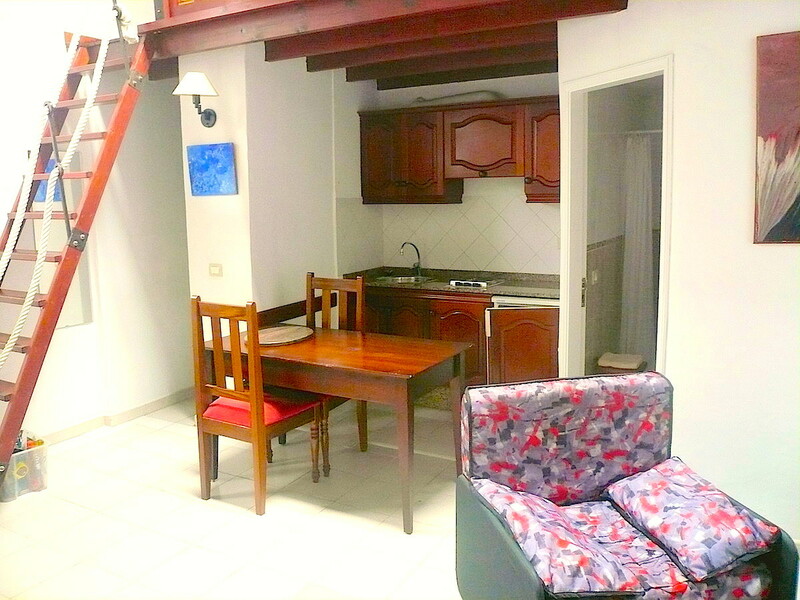 This loft, El Terrero La Geria, has the particularity that mattresses –bear in mind it is a wooden floor on the “air”-, that form the resting space, can be configured as per the Guest’s request: double bed, single bed or twin beds. It is also available for groups involved in adventure activities, such us biking, hiking that look for 1 or 2 nights accommodation. LA FINCA UGA, DISFRUTAME YA, DESEAME SIEMPRE®, A DEPOSIT IN CASH FOR PET ADMISSION MAY BE TAKEN UPON ARRIVAL UNDER OUR DISCRETION. 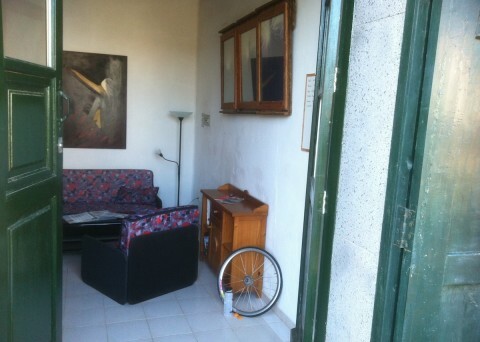 Final cleaning fees only for pets: 30€.